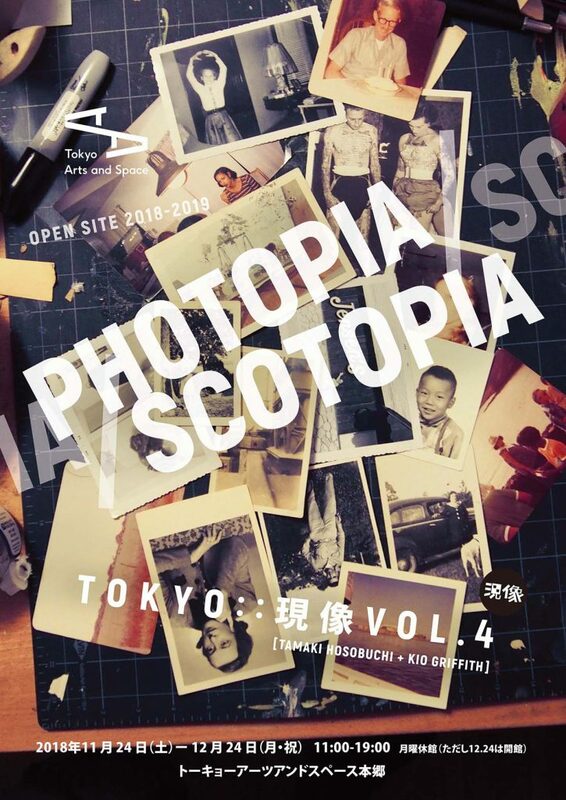 “Photopia /Scotopia: Tokyo” is an open sourced publishing project translated into an installation throughout the duration of the exhibition. Photographers of any skill, ethnicity, occupation, gender or age have participated in an effort to document the current changes of Tokyo and share commentary through their images about the gentrification in their neighborhoods associated with the upcoming 2020 Tokyo Olympics and the effect it is having on their lives. The foundation of this project is a contemporary photo journal, Genzou, founded in 2017 with co-founder, Tamaki Hosobuchi (deputy director of BankART NYK in Yokohama). This project at Tokyo Arts and Space will be cataloged as the fourth issue of Genzou. Genzou is the “development” step in darkroom photography which can be thought as the overlooked segment of the procedure. The journal is a letter-sized full-bleed format, fully co-curated between Ms. Hosobuchi and myself. It is intended to feature contemporary women photographers in Asia and abroad. During the exhibition, we have invited two lecturers to join us in a talk panel; Yoshitaka Mori, professor of sociology and art at Tokyo University of the Arts, and Michiko Kasahara, the former director at Tokyo Museum of Photography.